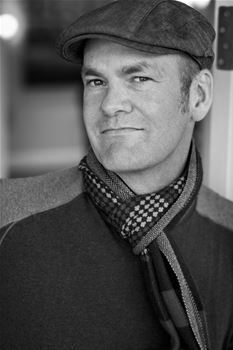 Pott took the position of Assistant Winemaker at Newton Vineyard where he worked with John Kongsgaard and Michel Rolland. Pott tried to convince Rolland to find him a job in France pulling hoses around a dark cellar and working on his language skills. Rolland soon sent word that he had found the ideal position, Winemaker at Chateau Troplong Mondot, Premier Grand Cru Classe, St. Emilion. Pott would thereafter become Winemaker and General Manager of Chateau La Tour Figeac Grand Cru Classe, St. Emilion. Pott worked for nearly six years making wine in France before returning to the States to take a position with Beringer Wine Estates as the Winemaker for the company's international brands in France, Italy and South America. Pott's duties expanded in 2001 as winemaker at St. Clement in St. Helena. In 2004, he accepted the position as Winemaker and General Manager at Quintessa. In 2007, Pott formed Huis Clos Wines and is dedicated to consulting for a limited quantity of notable producers and producing his own wine, Pott Wine. Education: Aaron studied Fermentation Science Enology at the University of California, Davis. He completed his education with a masters degree in Viticulture from the University de Bourgogne in Dijon, France. Aaron believes wines should reflect the terroir of their origin, as well as the art and character of the people behind them.